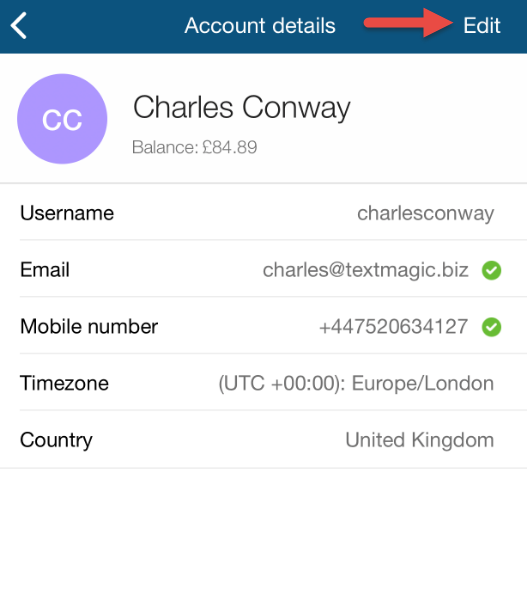 The TextMagic mobile app, Desktop app and Web app are fully synced. You can download the TextMagic mobile app for iOS and Android for free. 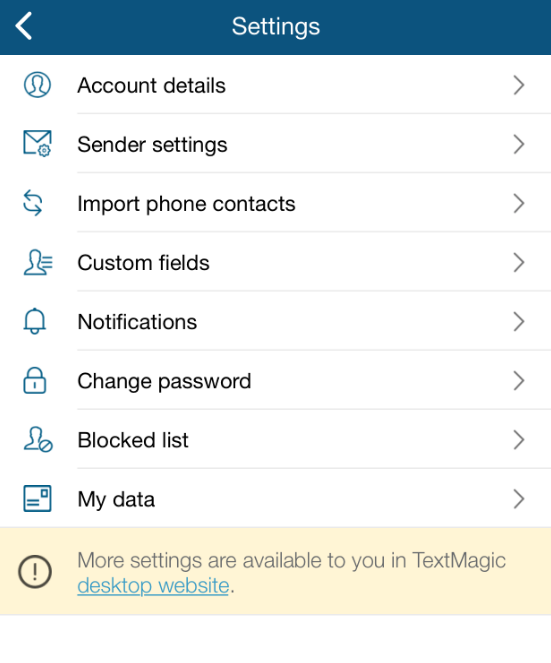 Please use the TextMagic Web app to access account management features and purchase SMS credit. Navigate to the Account details page. 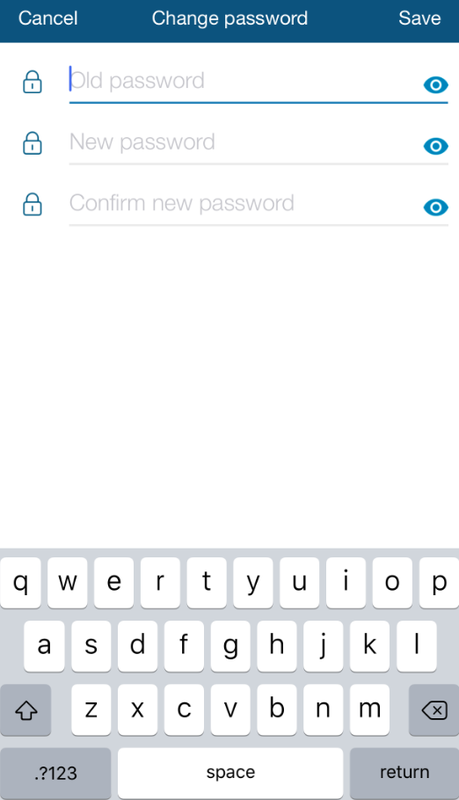 Enter the old and the new password and click Save.